We would like to welcome you to the product presentation of our SPECIAL TOOLS, which we have developed as a real problem solver in the field of professional JOINT SEALING TECNOLOGY. Thanks to the reliable operation, easy handling and the saving of time these SPECIAL TOOLS are used successfully by many professional users from different trades in their professional work. FUGENSTAR | FUGENBOSS and TEC-FIX are special tools which are used for the smoothing of elastic joint materials. These are also referred to as SPATULAS or applicators for silicone. 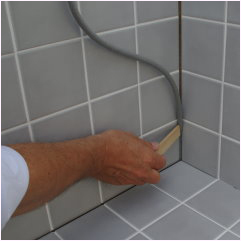 These are always used when the surface contours of sprayable sealants (based on silicone, acrylate, polysulfide, polyurethane or hybrid polymers) still have to be professionally reworked. With these applicators or tools for smoothing everyone can create really very nice and visually perfect joint surfaces. 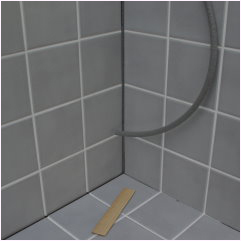 It does not matter whether you are a professional user, an ambitious self-employed worker or an occasional HOBBY user, with our tools for grouting work you are always conjured … EVEN PERFECT JOINTS … as done by a specialist for jointing. Even before you can insert new joints, there is often the question in the room, how can you remove the aged, defective and ugly joints as simple as possible? Of course, with the Grouting knife “TWIN-TOOL PowerCut“we also have a real problem solver in our range of tools for such tasks! The Grouting knife “TWIN-TOOL” PowerCut together with the SPECIAL ACCESSORIES are the ideal addition to our tools for smoothing. Please convince yourself, because with the right TOOLS for professionals, it means for everyone … EVEN PERFECT JOINTS … at all NO PROBLEM!